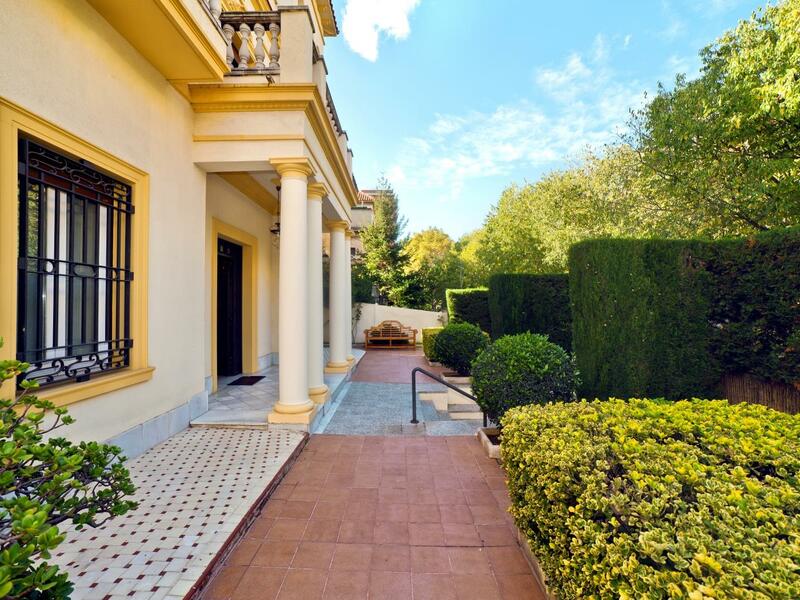 This beautiful and elegant villa of over 550 square meters located in Barcelona city on a land of more than 600 square meters has different terraces, swimming pool, Jacuzzi and garden. 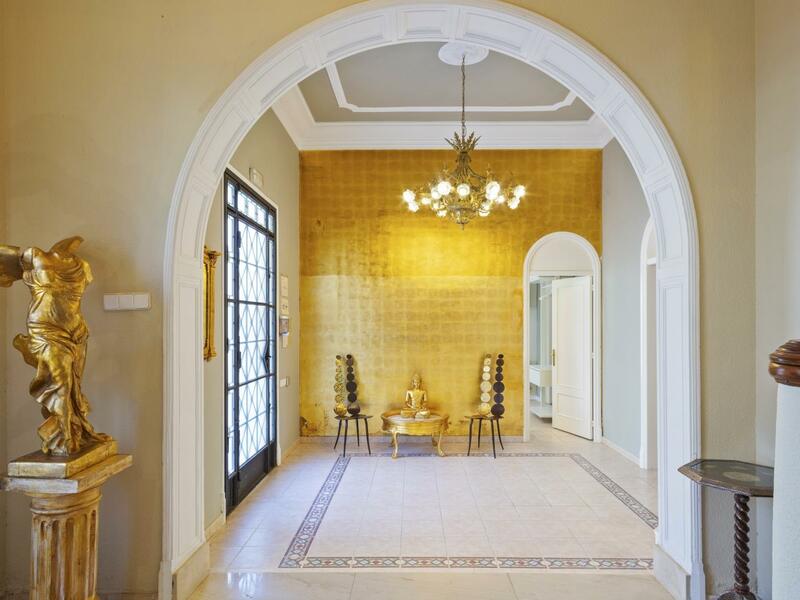 This Villa, neoclassical and artistic heritage of the early twentieth century, has been completely renovated in 2013 with a touch of style and great attention to detail. 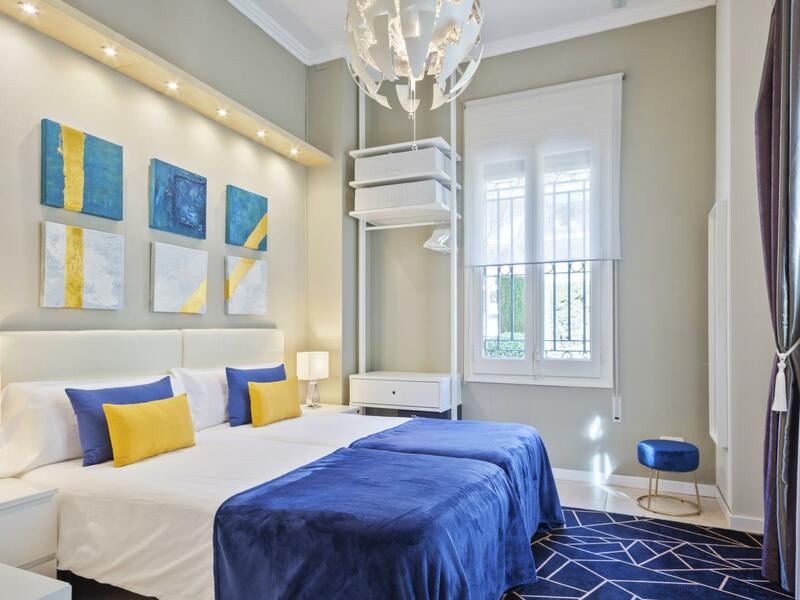 It contains all kinds of amenities in the different rooms: air conditioning, heating, TVs, safe boxes, WI-FI in all rooms, modern bathrooms and the wonderful combination of exquisite antiques with modern avant-garde furniture and carefully placed lighting. All this guarantees an unforgettable stay in a unique and exclusive space. 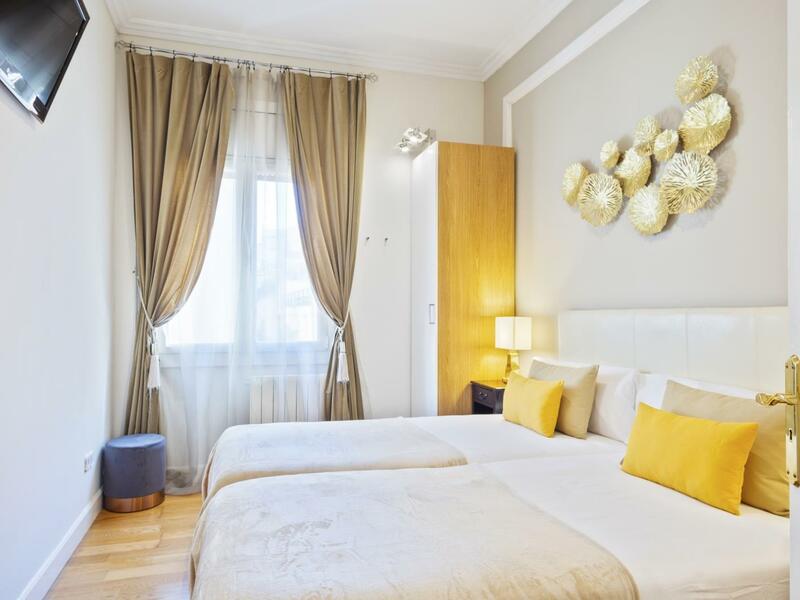 All rooms are double, spacious and equipped with individual air conditioning, WI-FI, safe box, television and even some of these rooms have a small sofa, boudoir and a large closet for your belongings and a private bathroom. 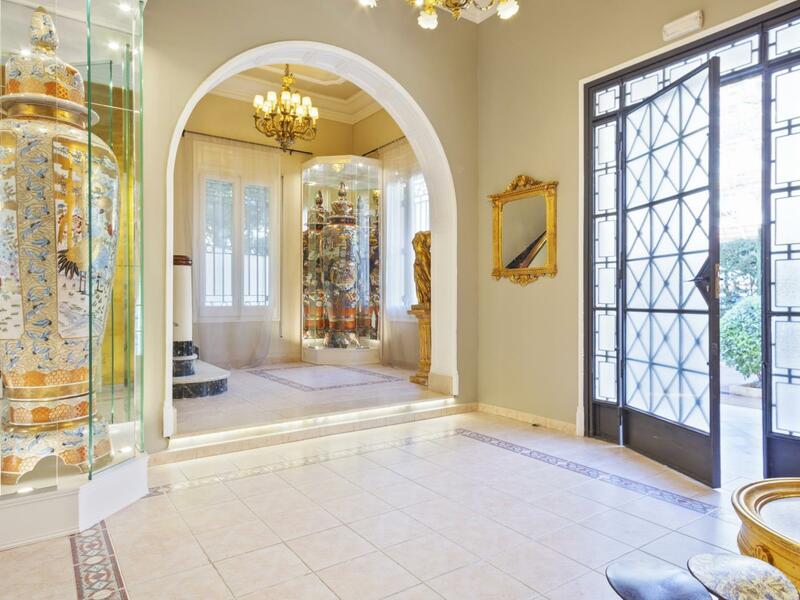 Accessing through the front door you enter into an impressive entrance hall with majestic marble staircase which will take you to the upper floors. 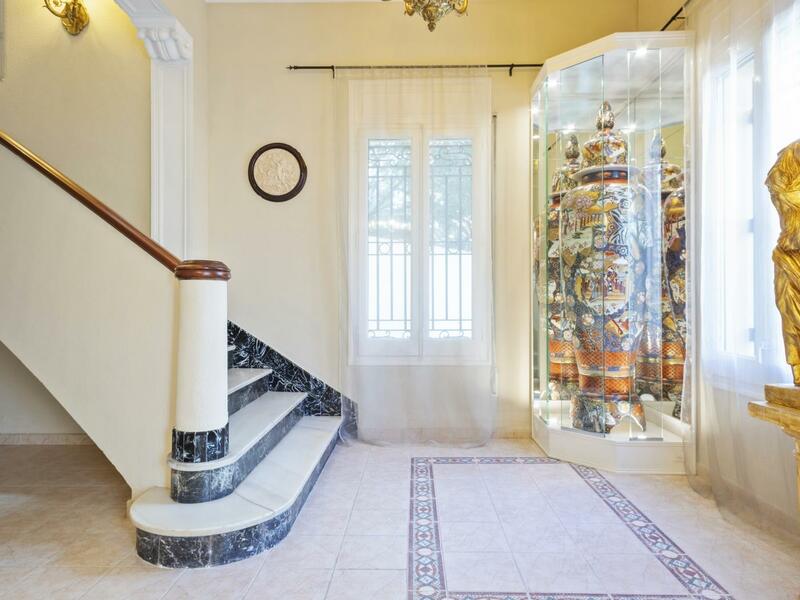 The hall of the villa has two exclusive eighteenth-century Chinese vases and bronze lamps; you can imagine the majesty and elegance of that time. The 250 square meters of this floor have been designed to ensure a feeling of relaxation and comfort from the moment of entry. 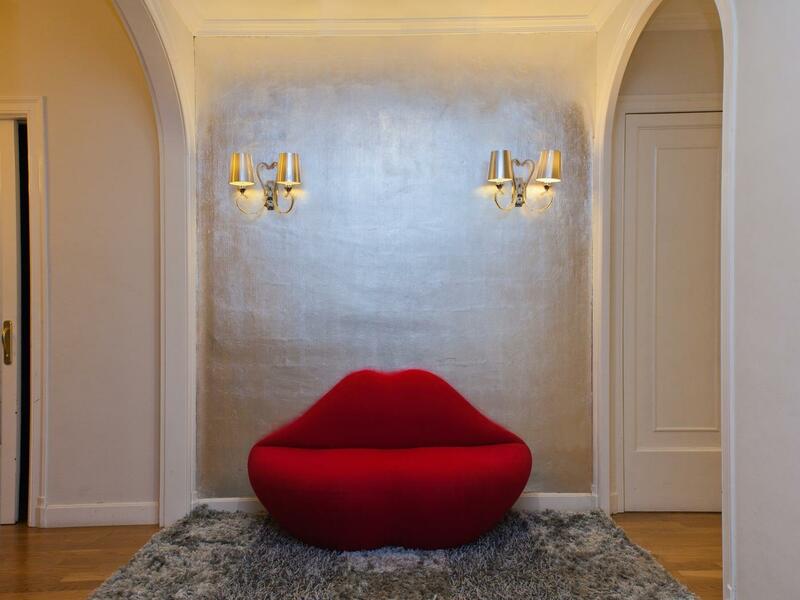 The game and meetings room that occupies almost 170 square meters, has been designed by one of the most prestigious decorators of Barcelona. 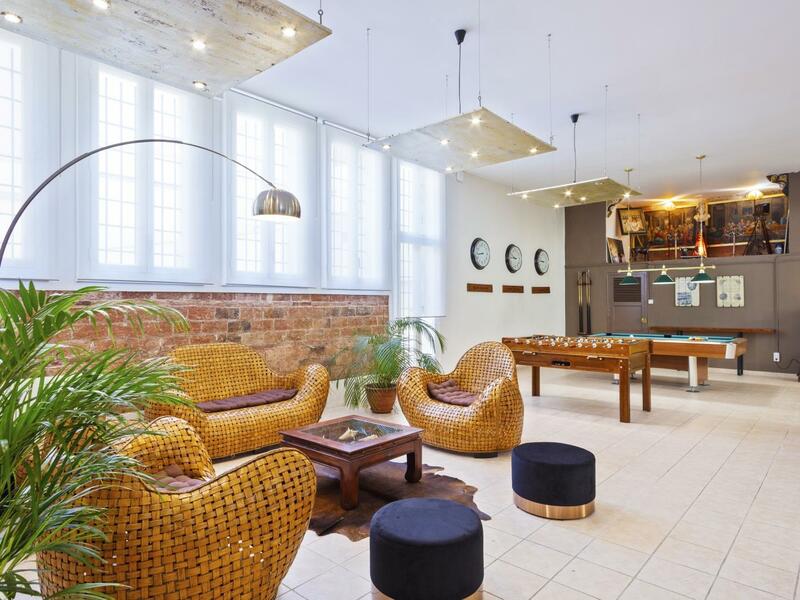 This wonderful space has a ping-pong, foosball, pool table, table games, a relaxation area, comfortable sofas, a 60 inch TV, bar area and a quiet reading area. It certainly provides different choices for everyone. Also on this floor there are two double bedrooms and two bathrooms, one en suite. Going up to the first floor there are four double bedrooms each one with its own style and decoration. 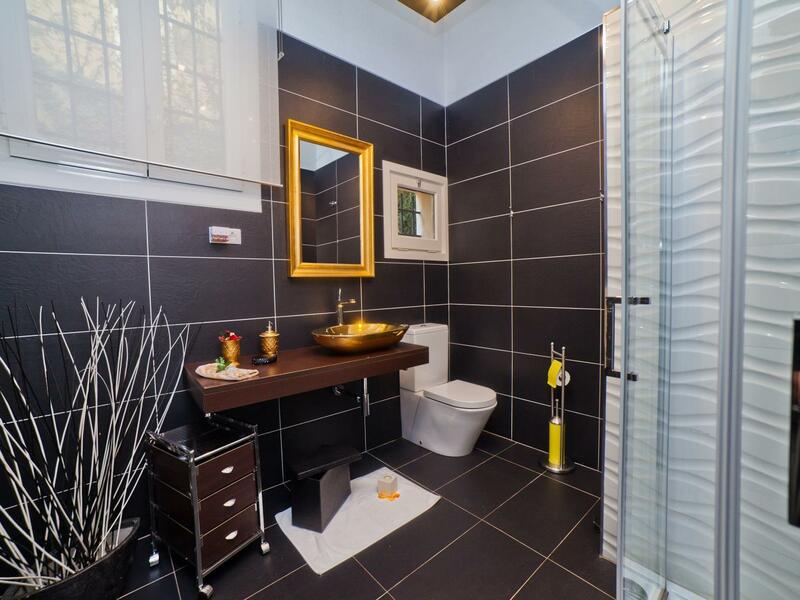 There are three bathrooms, two en suite. In the main bathroom we also find an elegant whirlpool tub. 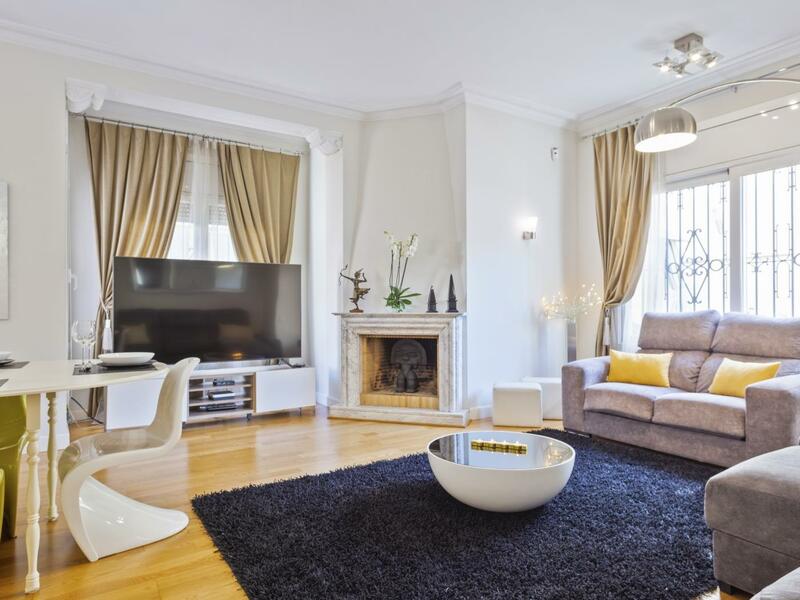 Also on the first floor, you will find the dining room that seats 16 people and the spacious living room with comfortable sofas where you can rest, relax, plan your excursions or enjoy some of your favorite programs on the 55’‘ television with a variety of international channels. Just off the living room you find the kitchen modern and practical style; with Italian design furniture, breakfast bar and a large food preparation area, with all you could need in a kitchen of this quality. Including two refrigerators, coffee maker, oven, microwave and dishwasher, all of the prestigious German brand Siemens. The kitchen is an absolute pleasure. From the kitchen you have direct access to the pool, Jacuzzi, garden and an outdoor half bathroom. The pool is 8x4 meters and is surrounded by tropical wood surfaces and hammocks. 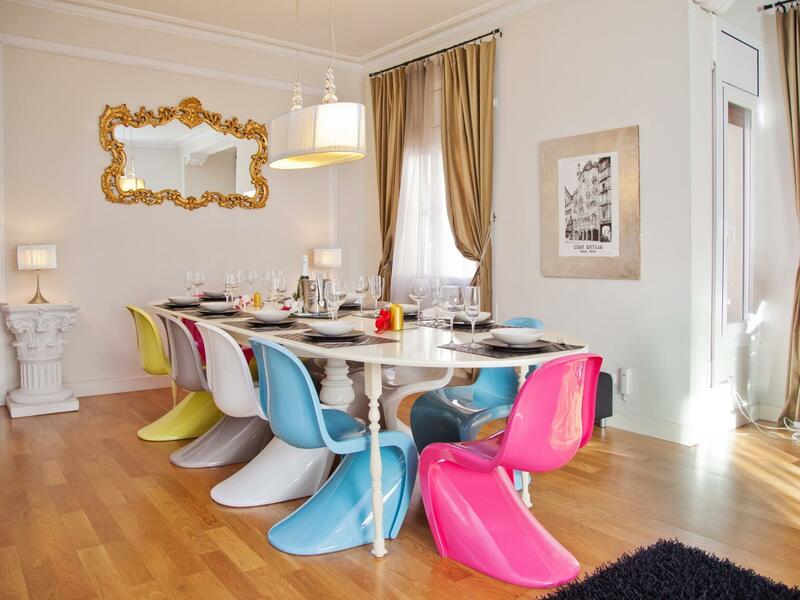 There is also an outside dining area with table and chairs. To enjoy even more, there is a 6 sleeps Jacuzzi: it is the perfect place to relax after a busy day of sightseeing. 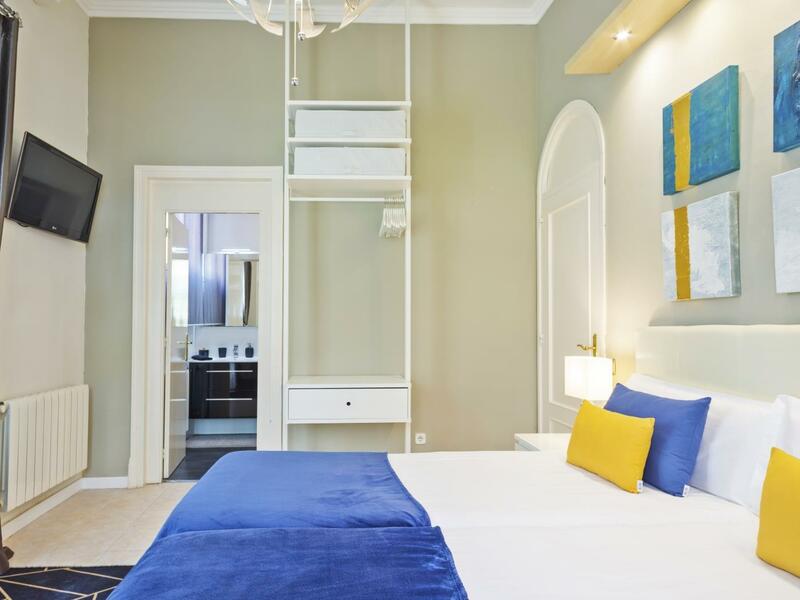 On the second floor we find a small space as a studio and a double bedroom with en suite bathroom. 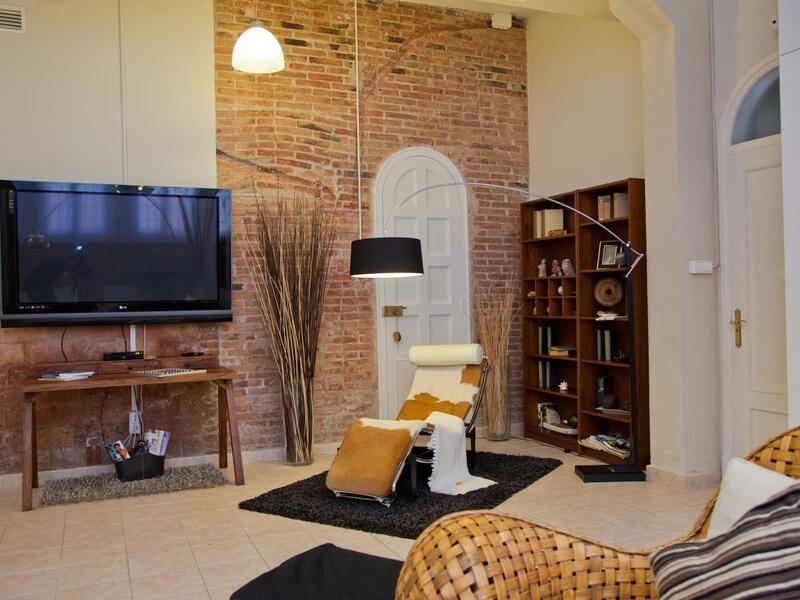 From the studio and from the bedroom there is access to a terrace of 160 square meters. The wooden floor, elegant latticework, comfortable seats and loungers on the terrace offer guests a wonderful "chill-out" space to enjoy both day and night, all accompanied with beautiful lighting. On this same floor we find the tower room, this room has also en suite bathroom and access to the chill-out terrace. 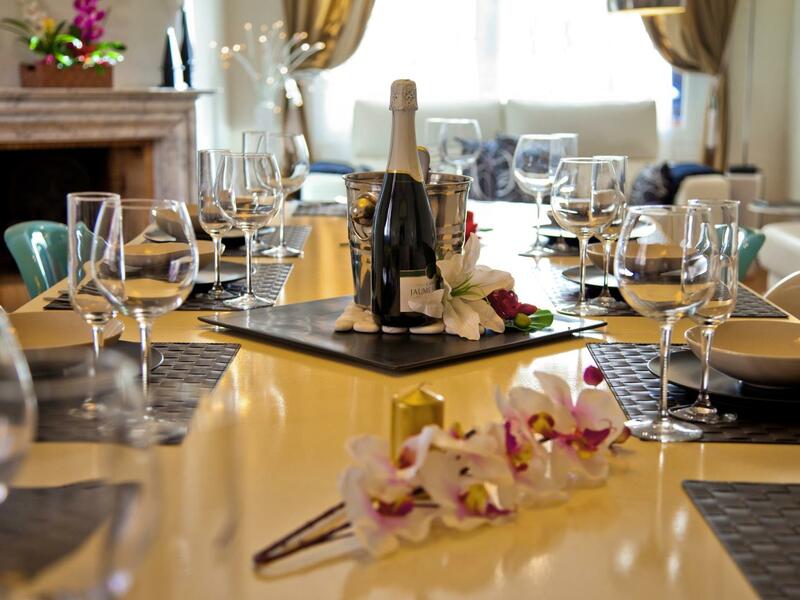 Everything has been carefully designed to ensure that your stay in this fabulous villa is memorable in every way. One of the services of the villa includes daily cleaning weekdays. 1) Villa Victoria Barcelona is inside Barcelona city in a residential area and the nightly rest of other neighbors must be respected, for this matter schedules have to be met: Quiet time is every day from 22:00 to 09:00 / Jacuzzi & pool time is Monday to Friday from 09:00 to 22:30 and weekends from 09:30 to 22:30. 2) The person who signs the contract upon arrival has to be older than 21 years. 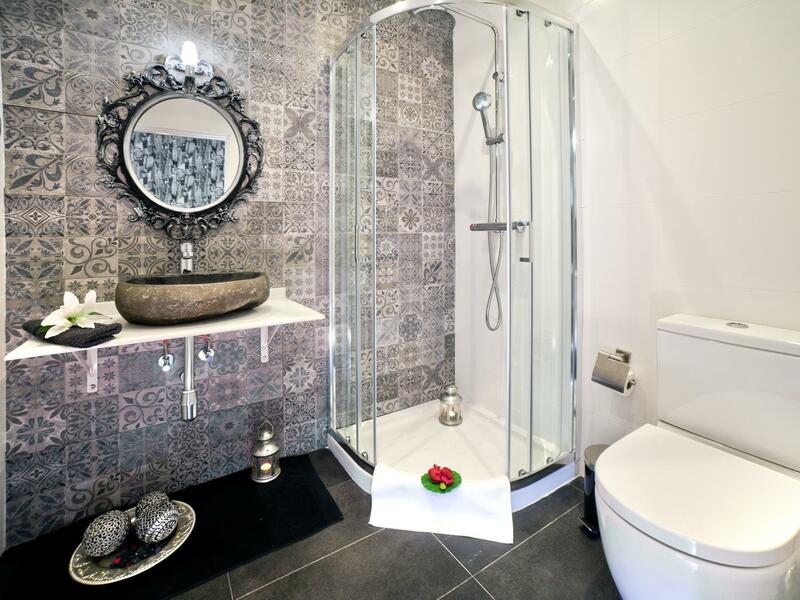 The Villa includes: "Amenities" (soap, shampoo, bath gel ...), sheets, bath towel, towel for the pool area, a hair dryer per bathroom, iron, ironing board, washing machine, dryer, BBQ, kitchen tools, crockery, dishwasher and cutlery. The villa also has a parking for one sedan. 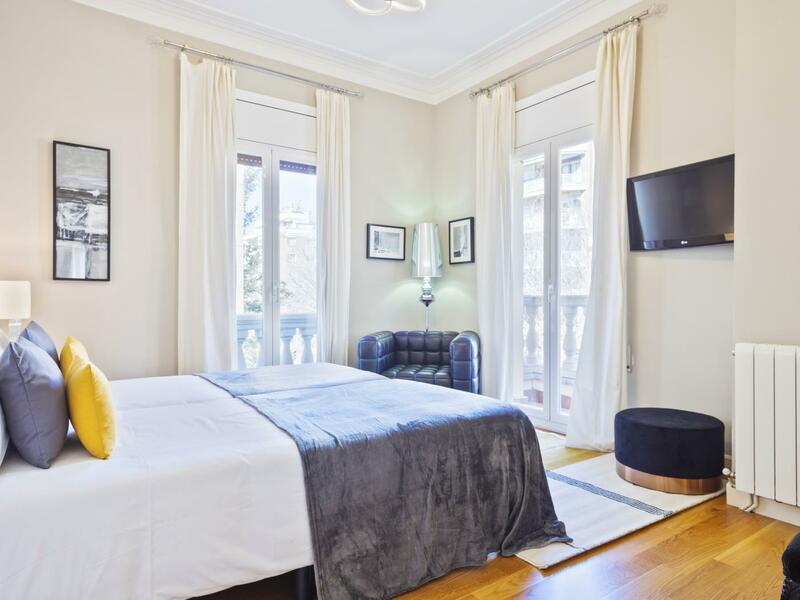 Villa Victoria Barcelona is located just ten minutes from two world heritage monuments: the Sagrada Familia and the Hospital de Sant Pau and 20 minutes from the city center of Barcelona. Just a few steps are: shops, supermarkets, restaurants and bakeries, you have everything at your fingertips to make your stay more pleasant in the villa. Moreover, the Villa is well connected by subway and bus. Imanol and his family were extremely welcoming and helpful. The place is amazing, and Olga the housekeeper is the nicest and most effective person you can meet. Our holiday here was dreamy! Beautiful villa in Barcelona. We had a wonderful time at the property. Location was convenient. Imanol communicated very well with us and made the check in/out process easy. Highly recommend! My company stayed in the Villa as a hub for exploring Barcelona for our yearly retreat. Wow, it was such an amazing experience. Olga the house cleaner was absolutely fantastic. Her recommendations and responsiveness were above what any of us expected. The Villa itself was just like the photos and more! We could not have picked a better place to stay. It was just far away enough from the city center to feel like you are staying in a real neighborhood without tourists and close enough to explore the city. Imanol was also very helpful giving us a full tour of the property going over every detail. Staying at the Villa really made the trip for our team. We will never forget it and I would highly recommend any group to stay there if they have the chance! Coming in with 14 guys on a bachelor trip we thought we’d be short on space. When we walked in, we felt like we were in a mansion. The game room and the terrace is where we spent most of our time at the house. If you have a big group of people this is he perfect place to stay. It’s not too far from everything and it’s in a very safe and quiet part of Barcelona. The hosts were extremely friendly and helped us whenever we needed it. This is the PERFECT getaway spot! Beautiful house, great location and really nice helpfull host. Recommended. Huset var fantastiskt med en supertrevlig uteplats och pool. Servicen var fantastisk och städningen jättebra. Jag kan varmt rekommendera detta boende för en lyckat vistelse i Barcelona. Great time had by all at the Villa, especially at the terrace with the pool. We booked the Villa for 6 nights. We met with Imanol and his dad who own the house. They are very nice people. The house is really great everything is clean and spotless. I highly recommend this place if you can afford it. We (company, 16 pers) really enjoyed the stay in the villa! The entire house (including pool area, rooms, bathrooms, rooftop terrace) was simply amazing and perfectly fit our needs. In addition to that, perfect & super friendly housekeeping. We came, we saw and we had a great time at the villa and I will like to think that we brought a little class to Barcelona with the special people we had with us. Happy Birthday Dave!!! Again, again, and again. Our experience at Villa Victoria was truly one we will remember forever. 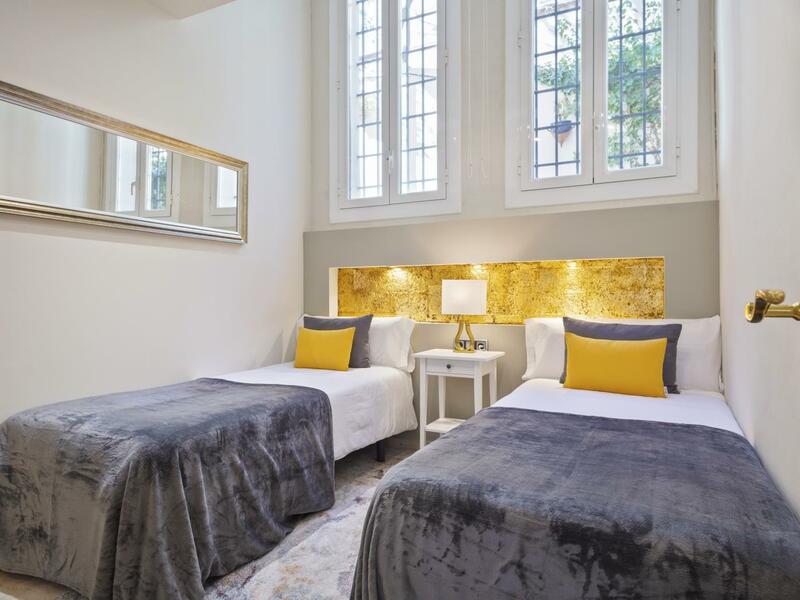 347 Passeig Maragall truly became a home to us over the past 4 weeks. From Olga’s constant smile and delicious cooking to studying by the pool, we made many wonderful memories. Thank you so much for everything. We had a lovely week in this magnificent villa. Both the young and the old felt immedeately at home. We really enjoyed the 5 star accomodation, combined with complete privacy. The Villa was awsome! We were 16 people and it fit perfectly! The Victoria Team was very kind and helpful, absolutly great! This place was amazing! Perfect for any sized group, the staff was fantastic, and was in a great part of town. I highly recommend staying at this location and would definitely do it again if I'm in the area. Thank you Victoria, Manel and Olga for sharing your beautiful Villa with our family. Our first stay, but certainly not our last. Everything was perfect! Loved your hospitality and warm welcome. We really appreciated it!!! Many, many thanks and best wishes for many more years of guests at Villa Victoria! 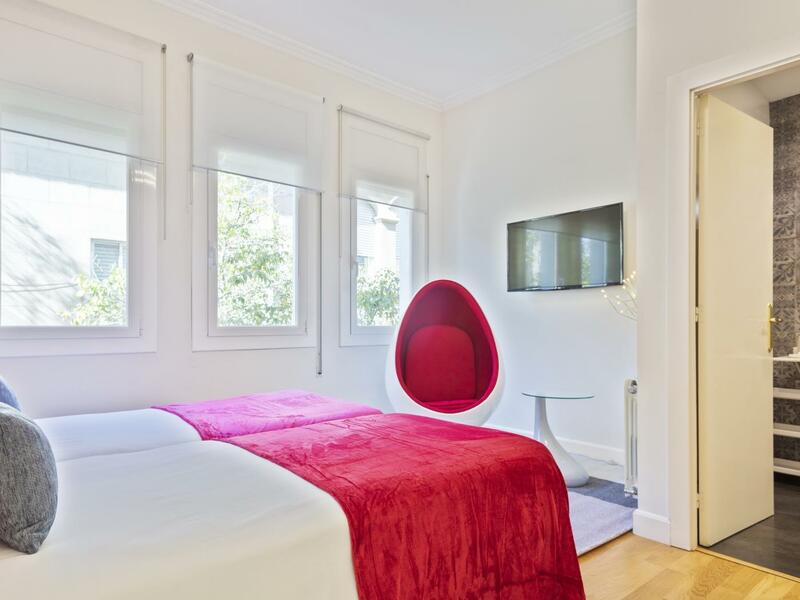 This is my second visit to Barcelona and I can tell you that staying @ Villa Victoria made it one of the best trips of our life. Can’t wait to come back already!! With love! What a fantastic time we had in your beautiful Villa. Thank you so much for an unforgettable holiday to celebrate my birthday. Service & friendliness was exceptional. Thank you so much. Tash + John had the best experience and a lifetime of memories in Villa Victoria. Thanks to old friends and new friends we have had a brilliant time in Barcelona this weekend. Villa Victoria is a beautiful place to relax and play. We love + miss au our Georgia friends and hopefully this is the start of a new family of friends to celebrate life with. 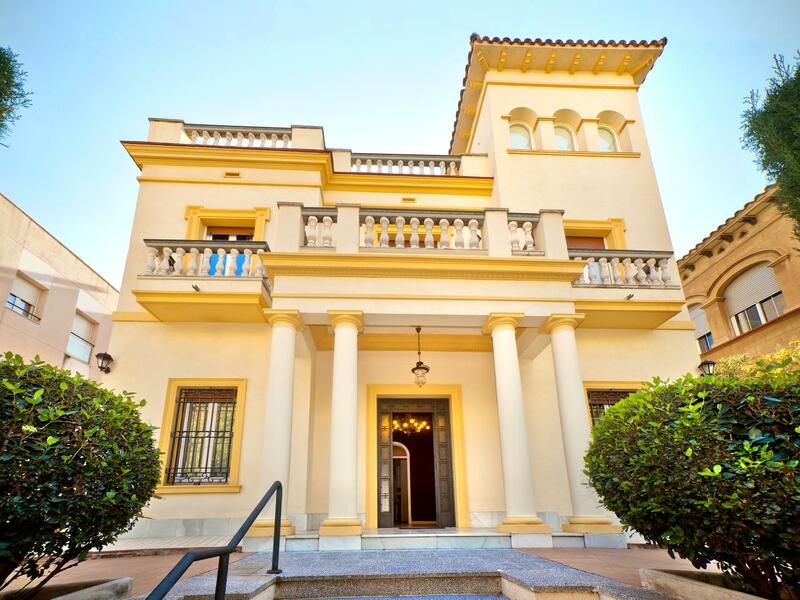 My company rented the Villa Victoria for four days when we visited a trade fair in Barcelona in February 2014. We found the villa to be spacious, modern, stylish and well equipped just as represented by the pictures on the website. With the number of bedrooms we were able to take a friend with us who was a chef. This allowed us to host business partners for dinner on a couple of days. Our chef found the kitchen to be more than adequate for his needs. We took full advantage of the table tennis table, pool table and table football as well as the hot tub outside. Unfortunately the weather was a bit too cold in February to brave the unheated pool but it was very pleasant sitting around on the wicker chairs on the terrace next to the Buddha head fountain with the pool and garden all lit up beautifully. We spent an amazing 4 nights at Villa Victoria. The Villa was the perfect complement to my 30th birthday everything from jacuzzi to the games room helped to make this holiday and celebration absolutely unforgettable! Thank you for the hospitality and great recommendations for shopping! 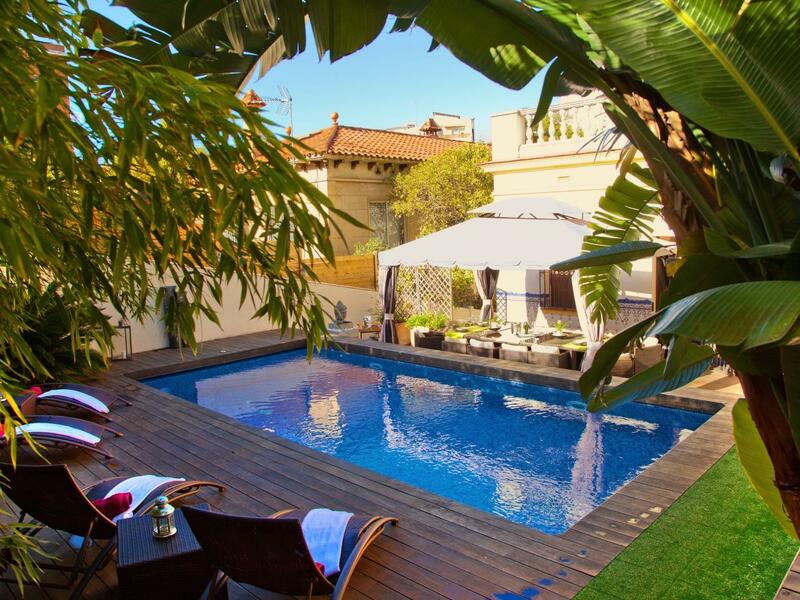 Our stay in Barcelona was complemente by the homely atmosphere of this beautiful Villa that has everything one can ever wish for his holiday. 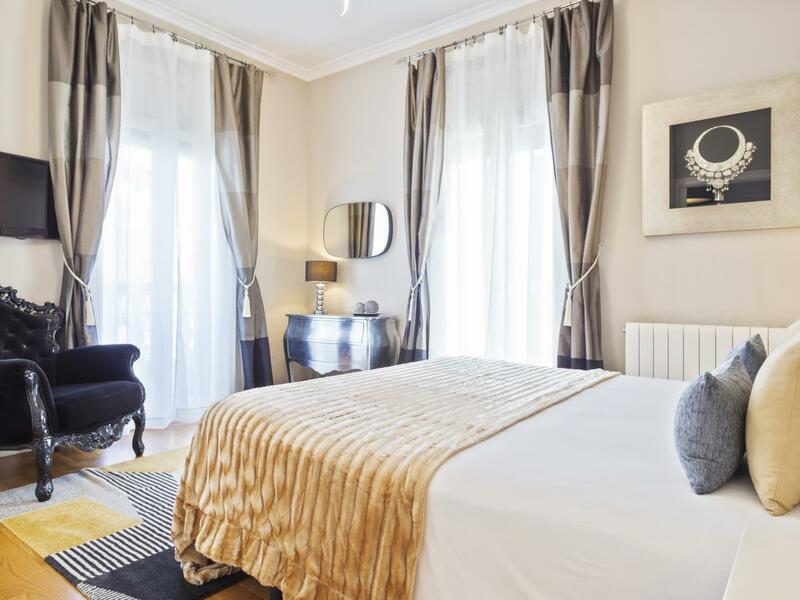 Villa Vistoria Barcelona is a beautiful place to stay and it exceeded our expectations. 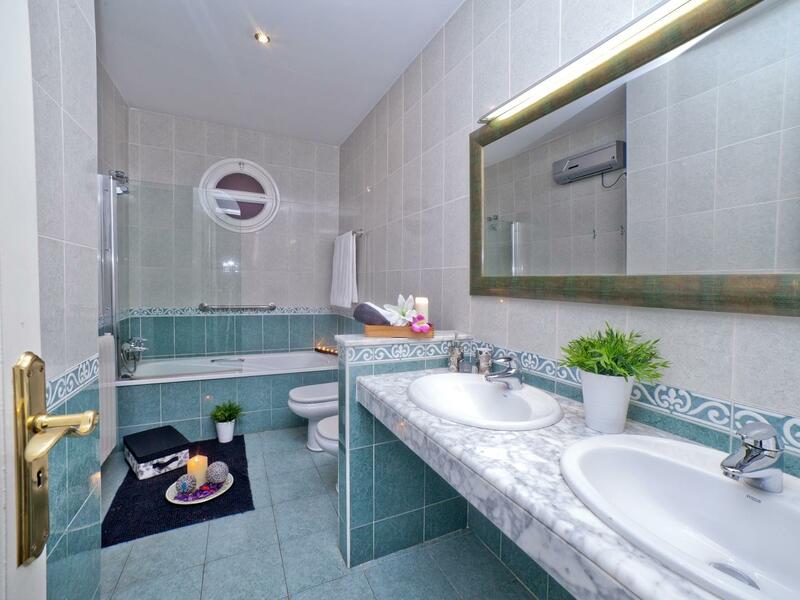 It was very clean and tidy with petals and candles in the bathrooms, just like in the pictures, it was awesome! 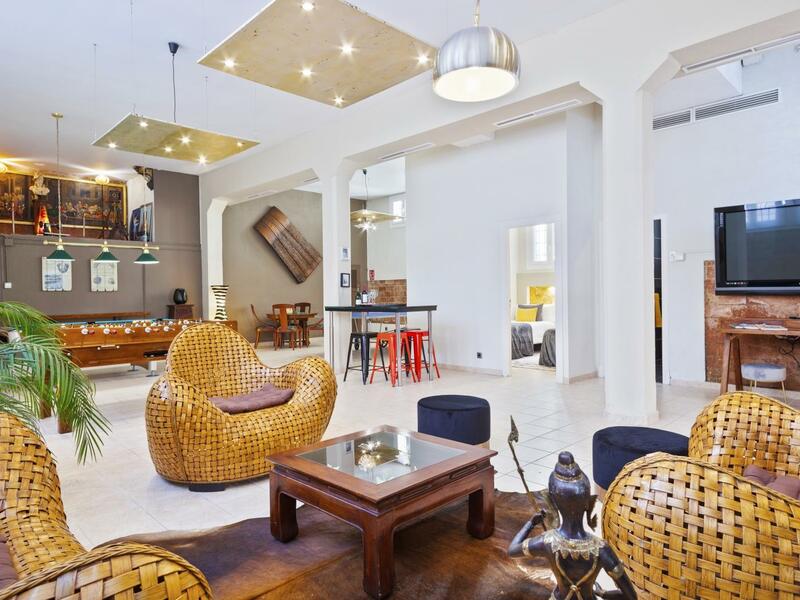 The game room is not a gimmick with ping pong, snooker, and football tables, big size TVs, sofas, etc. The area around the swimming pool and the jacuzzi is great too for chilling out. Kids loved the place and were upset when we had to leave! Actually they didn;t want to leave! The people taking care of the property are nice, warm, trully caring, and very welcome. The breakfast we had was for Gods! Everything was on the table, from delicious Spanish omeletes, to various types of ham and sausages, bread rolls, croissants, cereals, milk, butter, honey, marmelades, fruits as well fruit juices, it was just amazing! There was class, presentation, and substance in this property and I recommend it unconditionally. It's THE place to be! Many thanks for a lovely and relaxing stay at Villa Victoria! We enjoyed two wonderful family dinners at home and many fabulous surprises. Thank you for giving our family a memorable Barcelona vacation. L'endroit Idéal pour un seul mec! La salle de jeux et la piscine rafraichissante, Tout était parfait! Merci beaucoup a tout l’équipe de la Villa Victoria!!! Week-end joyeux à Villa Victoria ... Extraordinaire! En entrant, nous avons été surpris par la salle de jeux, vraiment génial et le reste de la belle Villa. Une magnifique attention et un service professionnel ... J'adore cette ville et j'espère y retourner. Villa Victoria un lugar increíble, con una magia especial, que nos llenó de buena vibra y energía. Volveremos pronto… y lo sigo vía mail, para seguir disfrutando Barcelona. Villa Victoria an amazing place with a special magic, which filled us with good vibes and positive energy. We will be back soon ... and I follow you via mail, to continue enjoying Barcelona. Liebe Victoria. Vielen dank fur die tolle zeit die luir Abalo Media Team in der villa hatten, besser haette der tag nach den anstrengungen auf der tinc 2013 nicht sein knonnen. Danke fur Olga, der gute geist des hauses, mner d und hilfsberet was fur one perle!! Luis freuen uns acia 2014. Thank you Victoria for letting us stay at your beautiful home for our show! The cast and crew have had a wonderful time here and I know I would love to return one day. All the best!